NEW YORK – The New York Giants might have to change their name to the New Look Giants this season. The team has been hit with a string of bad news (karma is a female dog) in recent weeks and the team has lost half of their starting offense. The news about WR Steve Smith going to the rival Eagles yesterday sealed the deal for me. I have been a very big fan of GM Jerry Reese and have showered him with praise since the first year he came to the team. But even my faith has been shaken by the mass exodus of pro bowl athletes in 2011. Think about this for a moment, the Giants have lost OL Rich Seubert, OL Shaun O’Hara, TE Kevin Boss, FB Madison Hedgecock and WR Steve Smith. All five of these guys were starters in an offense that requires eleven men. You do the math. The Giants also lost some other quality guys such as OL Shawn “Fan Fav” Andrews, DT Barry Cofield (who also went to division rival, the Redskins). They are in a contract battle with all pro DE Osi Umenyiora, they lost CB Bruce Johnson to injury and cut him. They signed TE Ben Patrick who turned around and retired on them and they have lost their 1st round pick CB Prince Amukamara for two months. When it rains, it pours. There were other transactions made but these mentioned are the big deals and the team still hasn’t addressed all of the free agents that need signing. The Giants play their first preseason game in two days and will need to get a ton of new players up to speed on the playbook and the system. I’m not sure how they will fair but I wish them good luck with that. I cannot remember a year in recent memory where the Giants lost so many quality players within a one month period of time. I’m not sure if there ever was a similar situation in team history. Yes, the team has signed some players but they hardly replaced all of the talent the team lost. I hope Jerry Reese knows what he is doing because this will be an unrecognizable group of players on the field to the true blue fan. The fact that the team was six million dollars over the salary cap certainly plays into the mix but that also begs the question of why? Who was watching the salary cap and allowed this to happen? Rabid fans have been calling for the head of Jerry Reese and for changes in the front office as a whole. I will keep my opinions to myself until I see what the team does in 2011. I will not panic but I am certainly deeply concerned. 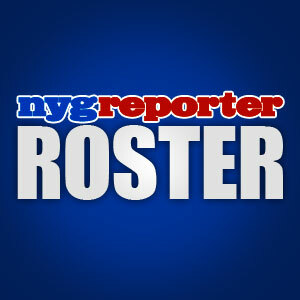 What are your thoughts about the recent roster moves made by the Giants? This entry was posted on Thursday, August 11th, 2011 at 11:31 AM and is filed under 2010 New York Giants, 2010 NFL Regular Season, 2011 Fantasy Football, 2011 New York Giants, 2011 NFL Draft, 2011 NFL Lockout, 2011 NFL Minicamp, 2011 NFL Playoffs, 2011 NFL Preseason, 2011 NFL Pro Bowl, 2011 NFL Regular Season, 2011 NFL Training Camp, Big Blue, Bill Parcells, Chris Mara, East Rutherford, Eli Manning, Ernie Accorsi, G-Men, George Martin, Giants, Giants Coaches, Giants Draft, Giants Front Office, Giants History, Giants Injuries, Giants Mini Camp, Giants Roster, Giants Stadium, Giants Super Bowl History, Giants Training Camp, Giants Transactions, Jerry Reese, John Mara, Jonathan Tisch, Justin Tuck, Kevin Gilbride, Monday Night Football, New Jersey, New Meadowlands Stadium, New York, New York Football Giants, New York Giants, NFC East, NFL, NFL Combine, NFL Draft, NFL Lockout, NFL New York Giants, NFL Playoffs, NFL Pro Bowl, NFL Schedule, NFL Super Bowl, Nilay Shah, NY Giants, NYG, NYG Blog, NYG BREAKING NEWS, NYG Draft, NYG Exclusive, NYG Fantasy Football, NYG Hall Of Fame, NYG Injury Report, NYG LIVE Updates, NYG Minicamp, NYG Playoffs, NYG Preseason, NYG Pro Bowl, NYG Regular Season, NYG Reporter, NYG Schedule, NYG Site News, NYG Story, NYG Super Bowl, NYG Top Ten, NYG Trade News, NYG Training Camp, NYG Update, NYG Website, nygreporter, Pat Hanlon, Perry Fewell, Pro Football Hall of Fame, Roger Goodell, Steve Tisch, Sunday Night Football, Super Bowl XLII, Timex Performance Center, Tom Coughlin, Tom Quinn, University of Albany, Wellington Mara. You can follow any responses to this entry through the RSS 2.0 feed. You can leave a response, or trackback from your own site. the bottom line is the g-mens front offense let there egotistical ways screw them this season.they felt that if they were not going to pay these tremendous players what they were worth,no one else will.well obviously the eagles jets and patriots beg to differ.while the giants gm jerry reese prides himself the free agency and draft guru,other teams stole the title.it interests me that teams that were in the playoffs and close to the supperbowl found all this money to throw around,and the big blue cries poverty.this steve smith latest is a real head scratcher,to me i felt the 2012 season was the throw away year,obviously its this season.i watched rex grossman in an interview say that he wouldnt be surprised if the skins win the east,he could take heart knowing they will win against the giants,im done.well not really,just incensed at what the front office is doing right now,it just dont seem to make sense,especially since the giants before the free agent massacre ,seemed to have all the talent to compete in the east.now im like forget about it. I’m concerned this year. Those are some heavy names to lose but I am still going to have faith that GM Jerry Reese has a plan. The money really effected the team this year but he was still able to secure some talent. Fans have been all over the place this past week as I watched the action from afar. It will be interesting to see how quickly all of these new guys pick up the system and the playbook. The entire season is going to depend on that happening quickly. just to add insult to injury,they might as well cut osi and let the eagles pick him up also.i dont understand the giants thinking process,we have just lost the only veteran left for the young receivers.what now,terell owens.and i love the way the eagles at the last minute are able to just scoop these guys up,just like namdi.there not in the conversation,then all of a sudden bam,just like desean jacksons return in last years debacle,we better get ready for more horrible game endings,because i just dont see it this year.from such a well respected organization,it dont seem the big blue is getting much respect lately,and its well deserved. I am still in shock about losing Steve Smith, as I’m sure other Giants fans are. The Eagles had a ton of cash to spend this year. I think I heard the number at around $40 million dollars or something like that. they planned ahead and it paid off. I’m very confident in our current WR’s but I’m nervous about the depth. Just as I’m nervous about the o-line and now the TE position. The offense is going to have to really step up in 2011 and they know it. The defense on the other hand should be very good if everyone stays healthy on that side of the ball. Hey Jeff, how have you been buddy? The three guys you mentioned, O’Hara, Seubert and Hedgecock were all starters. Yes, they had injury plagued seasons last year but no one can deny what they meant tot he team. Can you honestly say that we have a better offensive line now then we did last year? it remains to be seen. How you can be so calm about losing pro bowl WR Steve Smith is a bit shocking. There is no question that losing two more offensive weapons (Boss, Smith) will hurt the team. All of the players had injury issues and I’m sure Reese took that into consideration but there is no way we are a better team after losing that bunch of guys. The offensive line will miss those guys leadership, but in terms of talent I don’t see how they are worse. Hey Jeff, I respect your opinion but there is no way those guys are better options then Steve Smith. I respect all of the Giants WR’s but there is a pecking order for a reason. Nicks and Manningham as the one-two punch should be great and I hope the backups can do their thing this year. As far as the offensive line is concerned, we will have to wait and see if your thoughts are correct. Personally, I continue to say that I am not concerned so much with the talent that we have as much as them learning the playbook and the system in a short year. I am also 100% concerned about the offensive line depth. If we lose a player or two to injury, that could mean very bad things for QB Eli Manning. We won’t have to wait long to find out how they do, the game starts in less then 3 hours now. Enjoy the weekend! I never panicked when we lost those guys but I knew it would hurt a bit. I completely agree that some of our younger players have no choice but to step up this season and prove their worth. I think the team has the talent to do so but I just haven’t seen them do it yet. thats the key word,unproven yet.and with the o-line the g-men did have,toomer and shockey and a bunch of rookies excelled.i believe there are major question marks with this o-line. This rookie class is very exciting. Losing Prince for two months right off the bat is a huge loss. His entire rookie season has basically been wiped out between the lockout and now this injury. The only issue I see is that we don’t have those talented rookies for the areas I see the biggest problems. One thing I know for sure, our special teams will be top notch lol. another question is why we didnt try harder in free agency to at least match our division rivals. The Giants simply did not have the money this year buddy. Remember, they were six million dollars over the salary cap coming right out of the gate. i was optimistic yesterday before the steve smith news that the g-men were now 3.5 million under because of a couple of restructures.anything left that would be of interest to big blue at this point or we ride as is. I honestly doubt that they will give that free cap space money to Osi but they should keep him in my opinion. I think another fear may be that Umenyiora settles down once he gets his money and won’t play at a high level. I’m not sure about that one but it is a possibility. Maybe we will all be in for a big surprise with Reese having his sights targeted on a big name free agent or a big trade in the works. It’s unlikely but still possible. I think the team we have now is very talented but I’m just concerned about the playbook and the system being learned. Talent isn’t really the question for me. i agree with you on the talent,i believe we have really good receivers and to me the D looks solid.just that o-line situation that has me thinking,but i also had extremely high hopes in the team last season and we underachieved,so im looking at worst case scenarios and hoping for the best.i think the thing that has me thinking the worst,is that the guys we lost helped us win the superbowl.but who knows,maybe they will shock me and win with the newbies.i also would hate it if guys like plaxico and smith burn us this year in the games against the eagles and jets,especially in the eagles game by maybe putting to much attention on desean jackson because of last seasons debacle.but i will try to be more possitive,we all start 0-0. Let’s not forget about the TE situation that is very real now too. All of the issues or question marks seem to be related to the offense. I’m not worried about the Eagles or any of the other teams we have to play. I am only concerned with all of these news guys getting to know the system. Nothing else will work if they don’t grasp that playbook or respond to the coaching. i see that the analysts are already on the bandwagon trashing the g-men on how they let the free agent market slip through there hands this season and let a bunch of good players get stolen away.1st off having known plaxico wasnt coming back,then he was,then he wasnt,was definetly a double belly shot.the steve smith kind of getting stolen in the middle of the night,then blaming miscomunication was another shot.combined with losing kevin boss because of salary cap room and letting go most of the veteran o-line is less then confidense building for this team.but there is a bright spot in all of this,and that is pat hanlon hitting back all the nay sayers on twitter.i guess thats being a fan also,no matter what the big blue situation is,we will go down fighting even if we dont agree with the moves made this year.if,and thats a big if,we start out 0-2,0-3.theres gonna be a lot of angry people out there.and with coughlin only getting a one year extention,it makes you think that maybe the giants are looking towards next season for maybe a gruden or cowher.the media could spin it either way,but there are some smart fans out there that see this coming.its just something to think about.hats off to pat hanlon. I would never trash the G-Men and I honestly cannot understand the fans that do that. How can you call yourself a fan if you constantly bash your team about moves they make? I never understood that. I’m excited to see how they do tonight for their first preseason game against the Panthers. I wish they would air all of the preseason games as well but sometimes they only play it on the radio. I think Cowher will be the replacement for Coughlin when ever Coughlin decides he is ready to leave the game. Gruden is a close second. Enjoy the weekend! its me bobbyg,i actually came up anonymous on that comment,i was using my wifes computer,didnt know if i would get a response without a name. Hey Bobby, I replied to your comment up top. God Bless! looking forward to tonight also,even though ive been a doubting thomas about the offense situation,i some how know im going to be proven wrong and there will be nothing sweeter then to see this team prove a lot of nay sayers wrong,especially myself.i know they dont put all the games on,im in tampa bay,miami country,but i watch them on delay on the internet.cant wait to see our first team,this is what we live for,enjoy your weekend mr.domaine,there will be lots to talk about now in the coming weeks. I’m looking forward to it too buddy. I will write an article tonight or tomorrow about the game. I’m sure we will have a lot to discuss when it’s over. I hope they can pull off the win. Go Giants! some highs,a lot of lows.hope tynes is okay but he was brutal tonight.lack of training camps showed,but i know we will bounce back.talk to ya monday. No doubt Bobby, there were a ton of bad things about that game and a couple of good thing things. The offense needs a lot of work, the special teams was awful and the defense looked good but still gave up 20 points. It’s only preseason but when the starters were in the game, I saw a lot of penetration through the O-line and Manning was not playing relaxed ball because of that. I’m even more concerned about the O-line now and hope they can get it together soon. You wrote about the O-line worries from the beginning of free agency and your right on the mark, and it really showed last night.a rushed eli is an unproductive eli.the one big missed play also was on a blitz,that was to victor cruz but he dropped it and it was right on the numbers.i was shocked at that and disappointed because cruz was great in preseason last year and i hope it dont cost him a starting position this year,i had high hopes for that kid,especially since it looks like we need a bunch of receivers depth wise.there really going to have to shuffle around this o-line soon,but i know one of the worries you had was the time to gel and they dont have that kind of time.3 weeks could be an eternity in some situations,but when it comes down to building an offensive line,its less then minimal.we really dont need to see eli on the ground this year,the key to the g-mens seasons is keeping eli upright and giving him seconds.trying to be an optimist,there was more to throw out then keep in last nights game,but the stuff they keep was good and i hope we start to see more of it in the coming weeks.1st preseason game grade,D-. Hey thanks for recognizing that buddy, I appreciate that. It feels good when my analysis is on the money but sometimes I wish I were wrong because those areas need a ton of work still. The tight end and WR’s will be an interesting battle to watch. The special teams is just horrible and it was painful watching them flop around the field missing blocks and tackles.